The good: When you read a book like Slammed, it's so tempting to write a review poetry style. (Un)fortunately for you, I'm not that talented but I do want to try something different today. So I'm going to list everything I liked and just make it look like a poem from the book. who isn't afraid to go for what she wants. (that I want to remember for me). friends that can be counted on. a mature guy who tries to do the right thing. watching a relationship build over time. and denial and fear and love. (Some) issues: Ok, back to my regularly formatted review! Truthfully, I didn't connect with the story as much as I wanted to. The relationship between Lake and Will starts intensely within the first few pages of the book. It was insta-love without actually using the word love. And I felt a little forced into rooting for this couple before I even got a chance to know or understand the protagonist. But once they started to spend some more time together, then I felt connected to them later in the book and genuinely wanted them to find a way to work things out. I prefer relationships that build over time, even if they are attracted to each other immediately. Do I recommend? 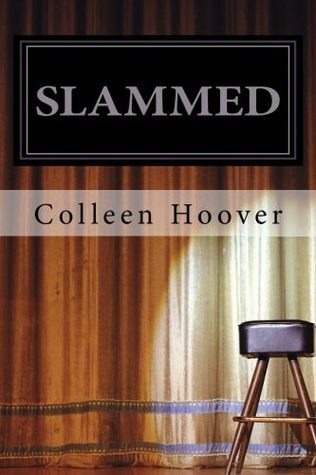 : If you're a fan of poetry (or even a little bit interested in what slam poetry is), I think this is a good look into that. I thought I would skim over the poems but I found myself really enjoying a bunch of them. All the characters are likable and it's a quick, easy read so if the synopsis appeals to you, I think it's worth checking out. I love how your review is so unique! It's pretty awesome. And you've made me incredibly curious about the book too, so that's a win!